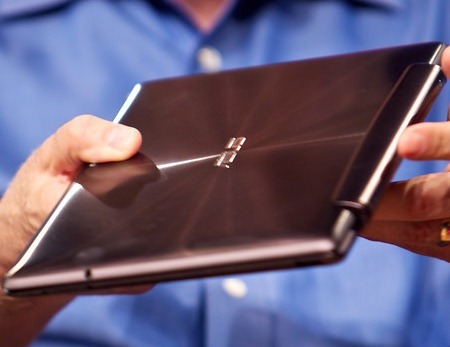 Jonney Shih, chairman of Asus has recently revealed the next generation of Transformer tablets at AsiaD. He also mentioned that they are going to name this new Tablet as the Transformer Prime. He has also confirmed that it will be equipped with a quad core NVIDIA chip and will have a 10inch display. Although he did not mention about the memory specifications but said it will also have an SD card slot. Any other specification that he mentioned are as a mini HDMI port, a battery with 14.5 hours of backup and a top lid that looks precisely like its Zenbook line. Jonney even mentioned that the Tab will be only 8.3mm (0.32inch) thick. He also said to Walt Mossberg that he expects Google soon to release its Ice Cream Sandwich and to hit tablets by the end of this year. Lastly it was also told that more news will be updated about the Tab during the official reveal on November 9th.